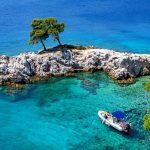 Skopelos, this beautiful island of the Northern Sporades has incredible natural beauties and is famous for its splendid and crystal clear waters. 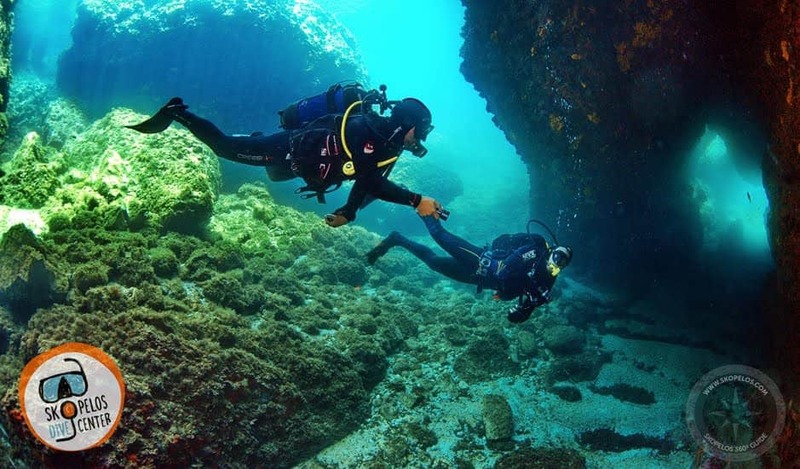 The seabed of the island also hides incomparable beauty, so there many combine their summer holidays with the exploration of the rich marine life of the island. 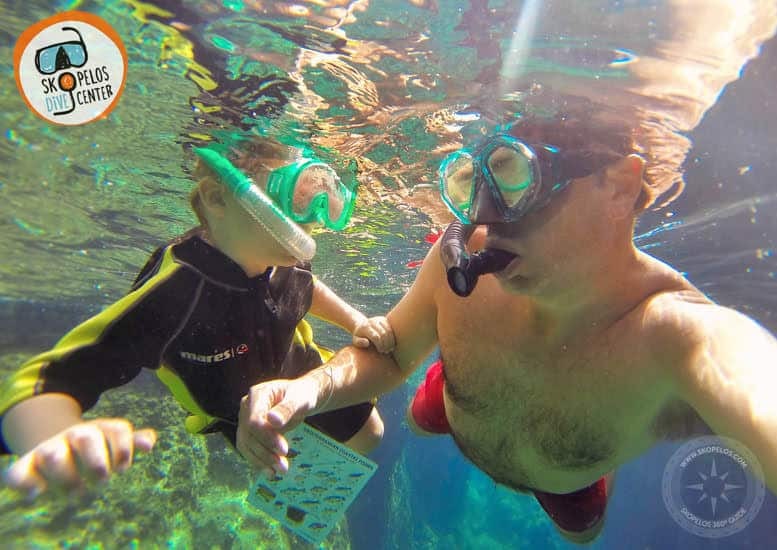 Scuba Diving and Snorkeling are activities that excite visitors. 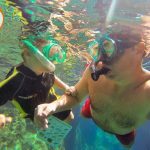 Scuba Diving is well known, but what exactly is snorkeling? 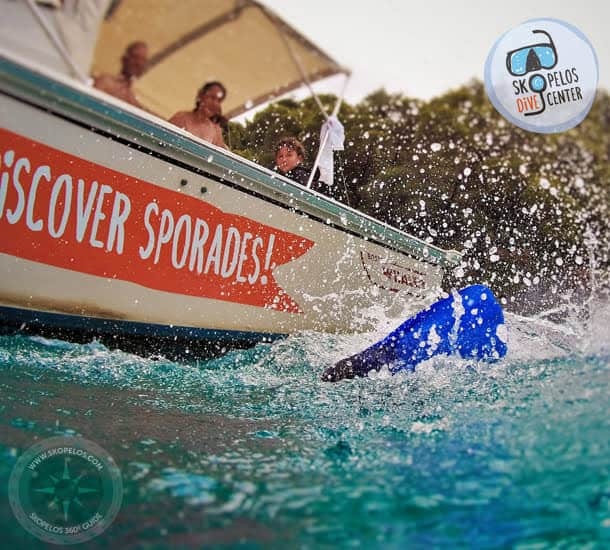 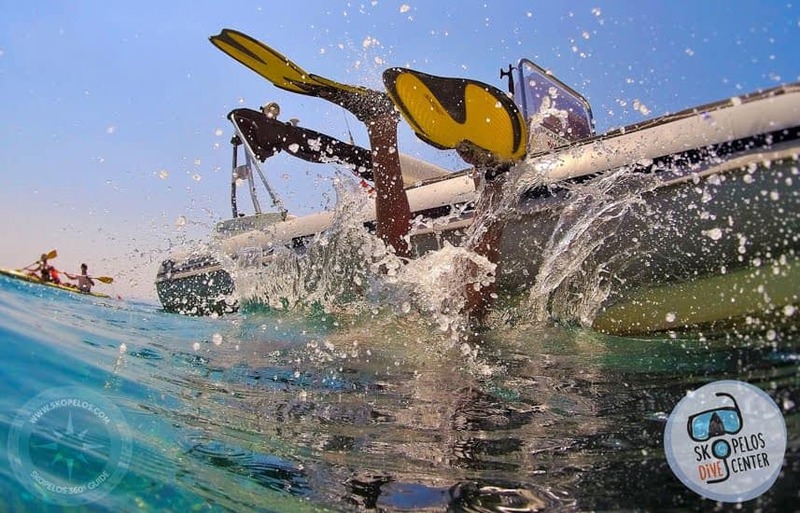 Snorkeling or Surface diving is an activity that combines athletic activity and exploration. 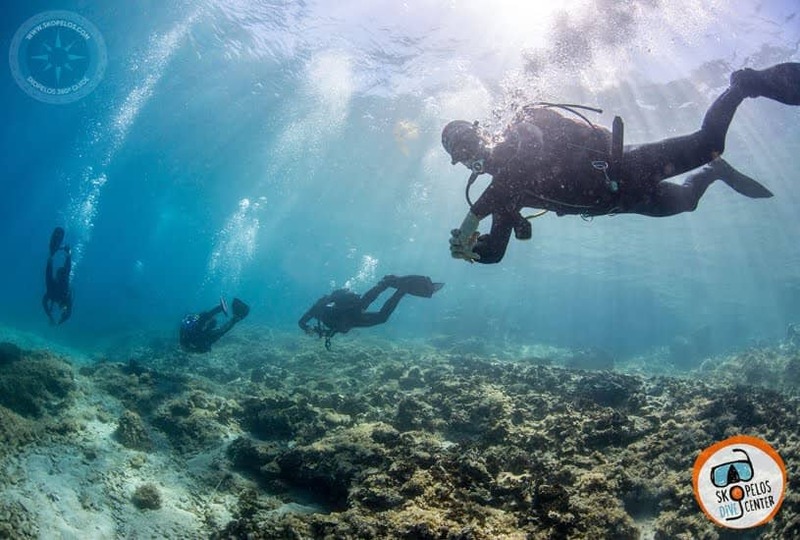 All you need is, except for your love for the sea, flippers, a mask and a snorkel. 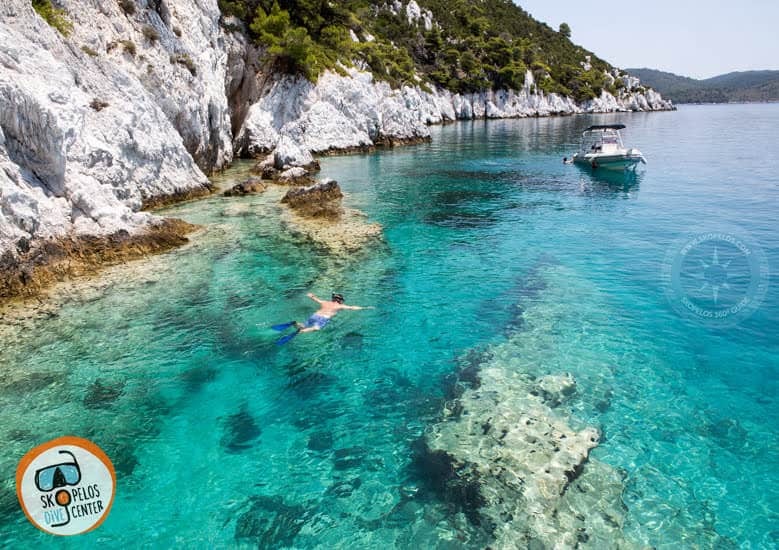 The conditions for snorkeling in Greece are ideal due to the clarity of the waters. 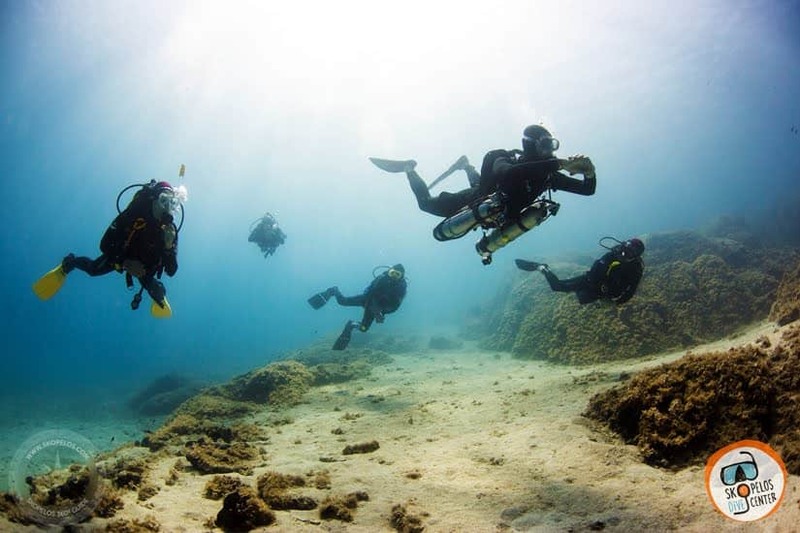 So one can swim on the surface without diving, admire the beauties of the sea and the underwater world. 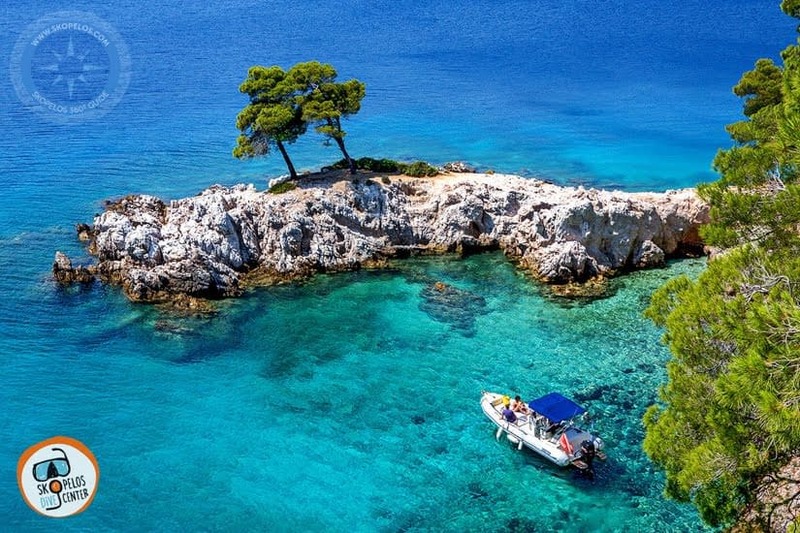 Skopelos is an island that traditionally had famous free diving divers. 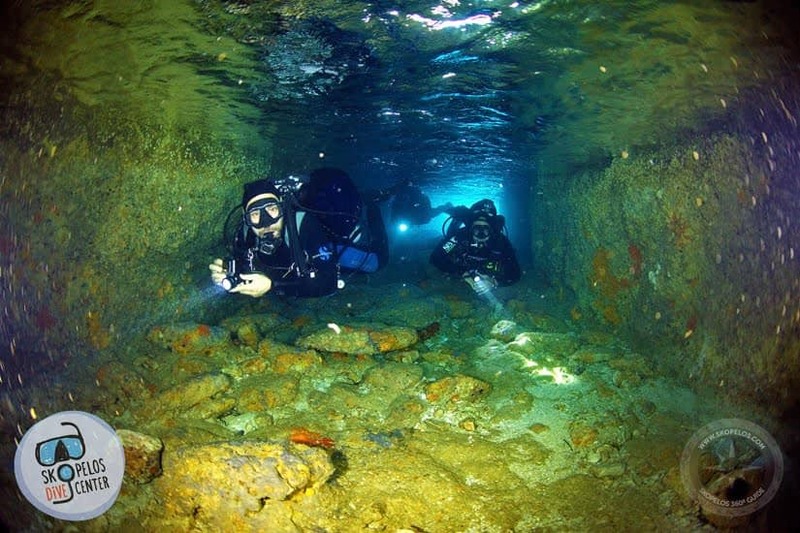 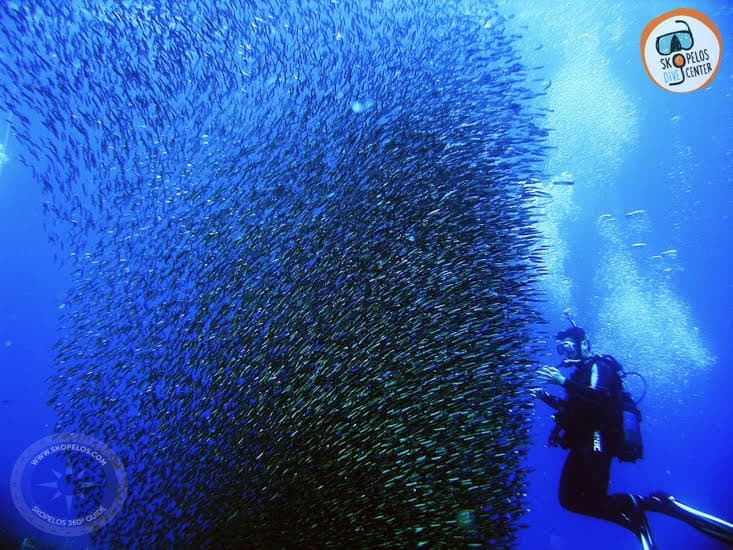 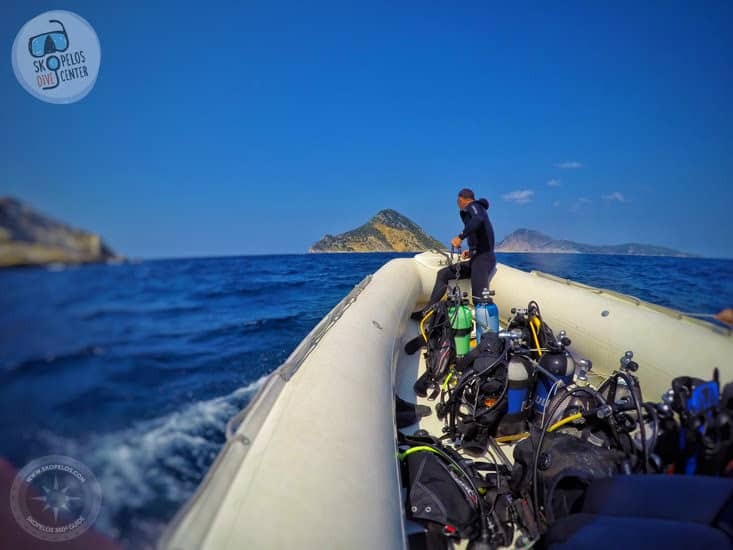 From 2014 onwards Scuba Diving and the first Diving Center were added to the island’s maritime activities. 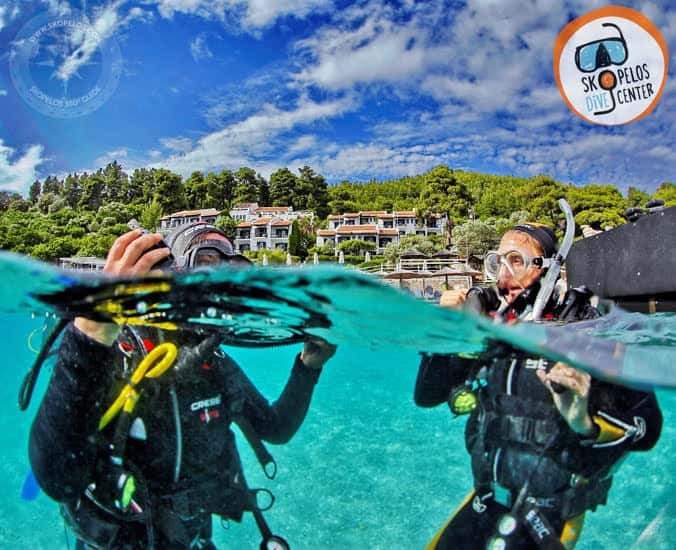 The Skopelos Dive Center can be found both on the north side (at the port of Skopelos) and on the south side of the island, at Adrina Beach in the Panormos area. 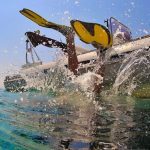 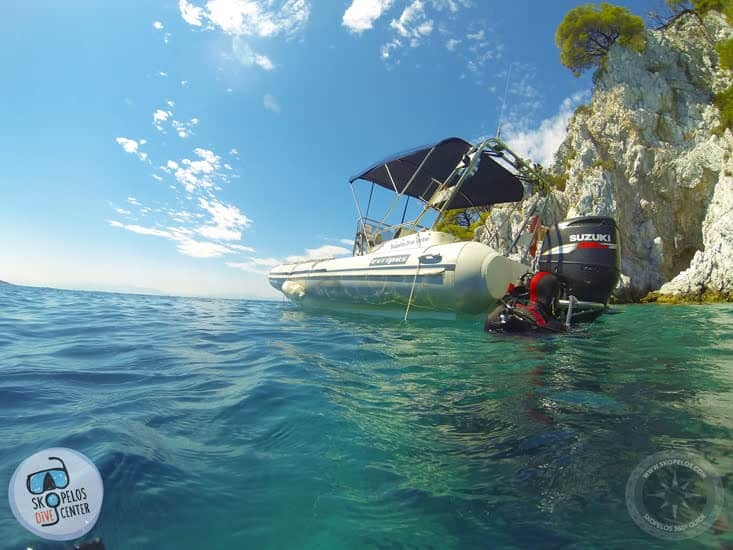 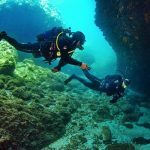 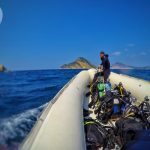 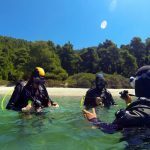 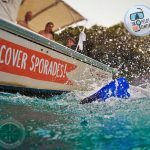 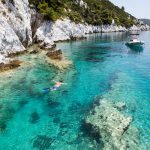 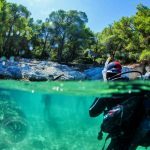 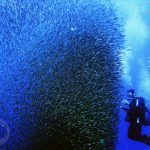 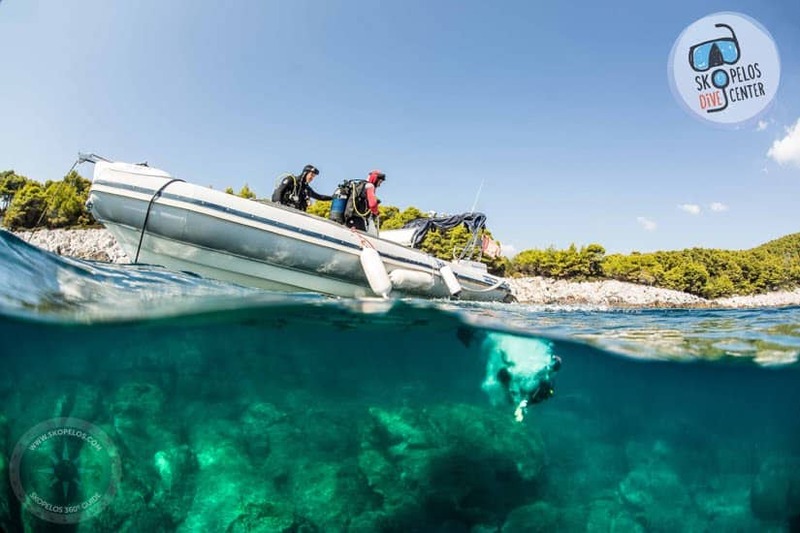 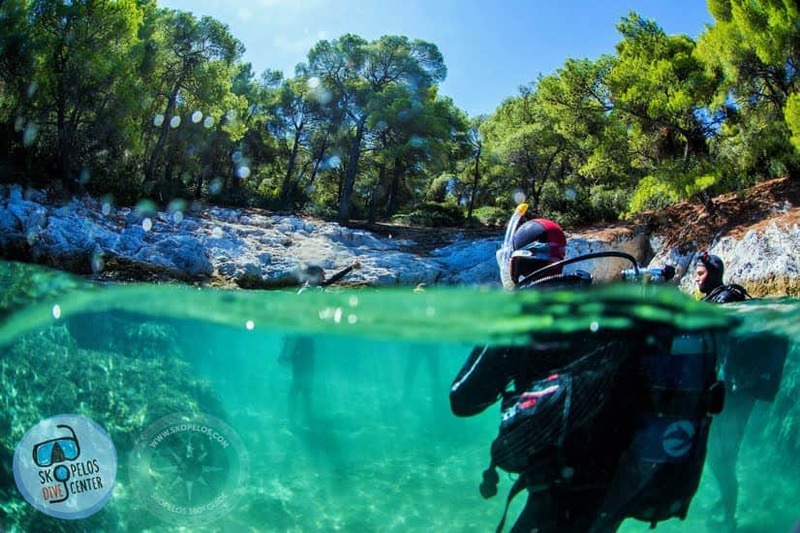 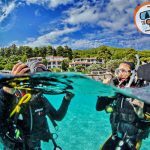 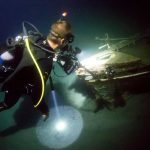 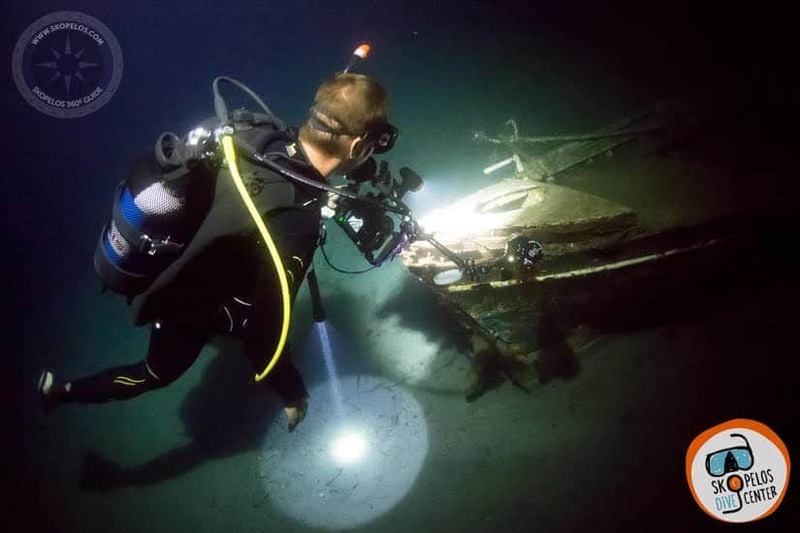 The center runs from the beginning of May until the end of October and organizes diving trips around Skopelos and to remote locations of the island. 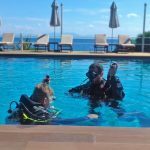 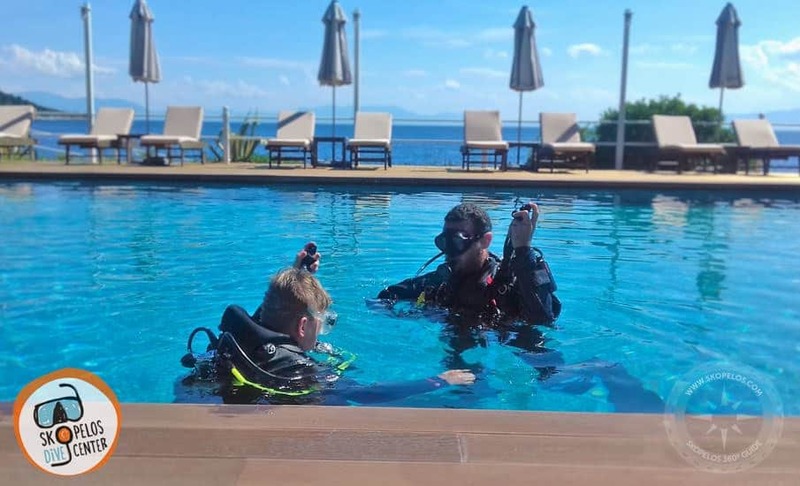 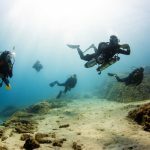 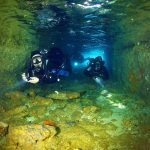 Also, one can do Divemaster training courses as well as first aid courses for safe diving. 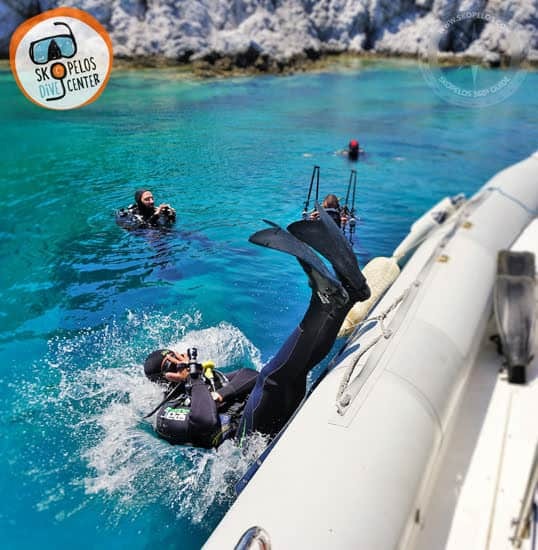 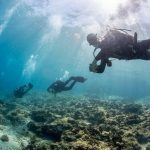 The only sure thing is that the fully trained team of the center will offer unique diving experiences to the people concerned. 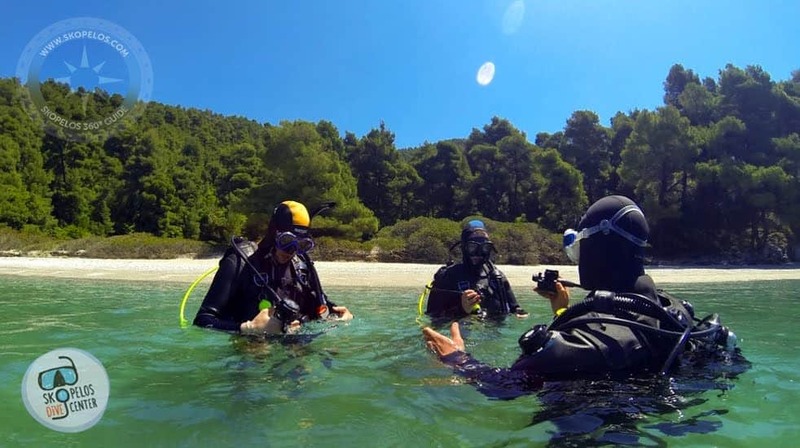 For those who love diving, Skopelos is a destination that will offer unique experiences and plenty of choices.